A lot of shows have disappointed me this year, but few more so than Legion, a series I recommended after its wild, surreal ride of a first season, but is now one that I’m sorry to say, devolved into utter nonsense for most of its second. Perhaps it was inevitable. 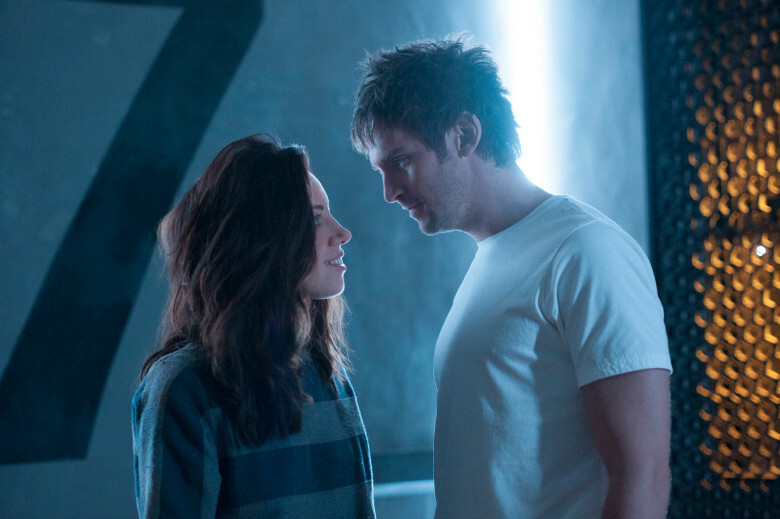 Legion was praised in its first season for deviating wildly from any kind of superhero, action-adventure “formula,” and by taking place largely inside the mind of David (Dan Stevens) a mentally ill psychic who was often times possessed by the villainous entity of the “Shadow King” (who usually took the form of Aubrey Plaza), he could bend reality to his will and alternate between hero and villain inadvertently. This led to many thrilling, dreamlike, baffling yet impressive sequences that were meant to keep you guessing but intrigued. Since there was a definite underlying coherent narrative to the season that managed to reach a conclusion, despite all the visual trickery, I remained invested in the story. But this season (unnecessarily extended by three episodes over the last), creator Noah Hawley seemed to decide that the draw for this show was the surreal imagery itself and the sophomore run took a pretty hard nosedive into style over substance. To be fair, that’s a critique you may have been able to lob at the first season as well, but again, since there was a plot that managed to actually get somewhere, on top of all the Lynchian pyrotechnics, it wasn’t a problem for me. This time however, after setting up a seemingly simplistic goal in the first episode (David is warned by a future Sydney to help the Shadow King find his real body, since he’s been separated from the Aubrey Plaza version), every subsequent episode took stylistic digressions into total meaningless praddle. It’s such a blur that it’s difficult to even remember what happened over the entirety of the season. From Jon Hamm waxing philosophic at the beginning of every episode, to David living multiple realities of his life, to the rest of the cast (minus Rachel Keller’s Sydney and Aubrey Plaza resurrected as New Lenny) being essentially shafted, it’s the season of wheel spinning and pretentious drivel that leads nowhere. The new Shadow King, aka Amahl Farouk, is played by David Negahban, but he isn’t much of a presence, relegated to mild digressions of his own about life and death, blah blah blah, as David stews and mumbles, veering from troubled good guy to apparent villain. There’s virtually no direction gained over the season until the very last episode, which finally sets up a new dynamic that I hadn’t even realized it was building to, as David completes his journey to bad guy, this time all on his own, without a Farouk in his brain (although in an act that permanently undermines the David/Sydney love story, which was clearly intended to be the show's beating heart from the beginning, so that could be another problem). I was this close to quitting the show, but the finale jolted things just enough to make me want to at least see what happens from here, which is more than I can say for any other episode this season. I’ll be back next year, but this show is on serious parole. June 15, 2018 by Ariel Shavonne.